How to illuminate a room at -20°Celsius? Our Customer needed fixtures, which would function efficiently in a freeze storage. Stored vegetables and fruits, are kept at temperatures lower than -20°C. The fixtures reliability and durability were not the only key factors, the power, and light efficiency played also an important role. 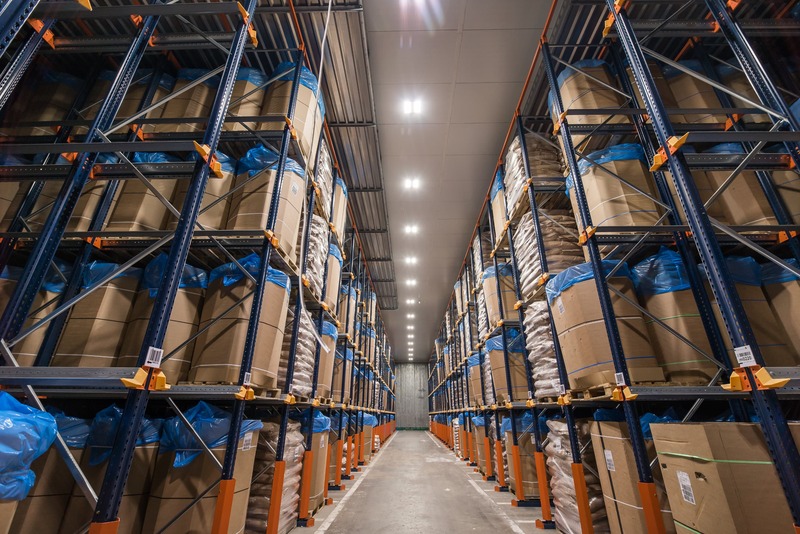 The installation proved to be a challenge as well – every inch of space in freezer rooms is effectively used and the shelves reach the ceiling. The fixtures itself could not be higher than 10 cm. The surroundings were filled with food, which requires strict hygiene procedures. In the sorting area headgear and overalls are required. 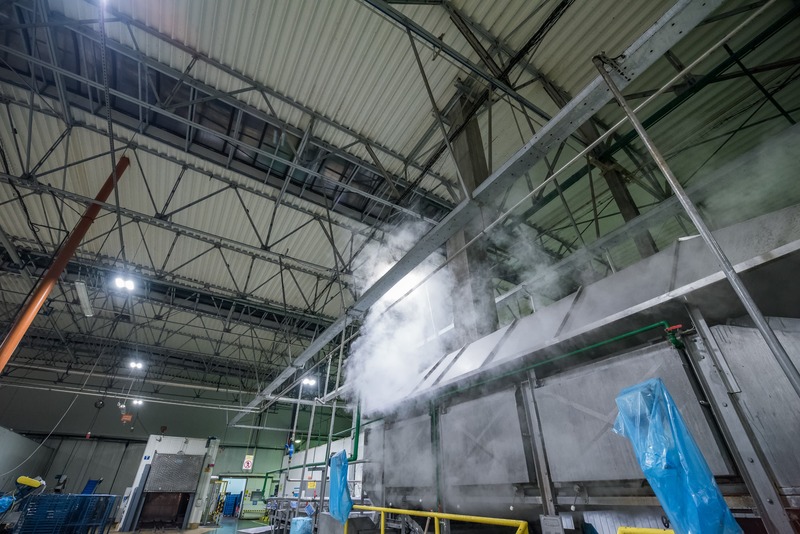 The installation in deep freeze area was conducted at -20 degrees, without any possibility of regulation. The assembly crew was also dependent on the work rhythm of the production process. A wide beam angle was a necessity – in this case the optics reaches 120 degrees. After an energy audit, we were able to develop a project, allowing us an installation in existing lights spots. 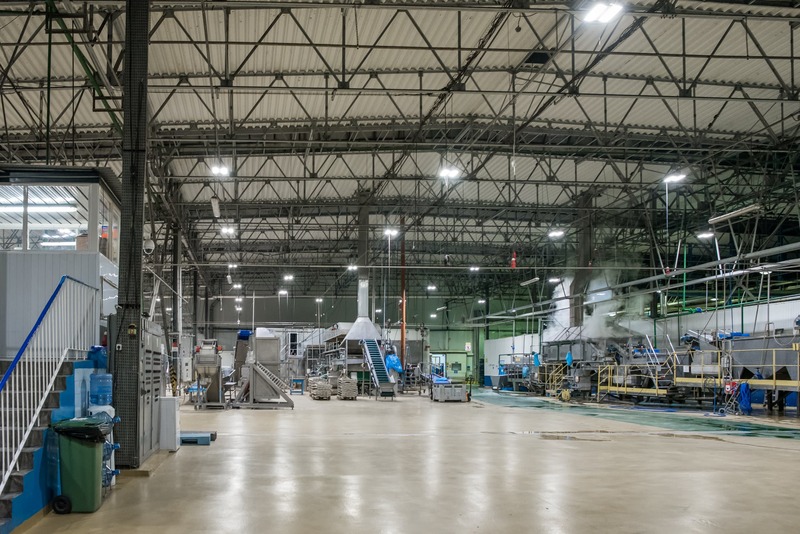 Our goal was to achieve full efficiency and failure-free fixtures in demanding conditions. The luminaries were mounted to the ceiling, through drilling. 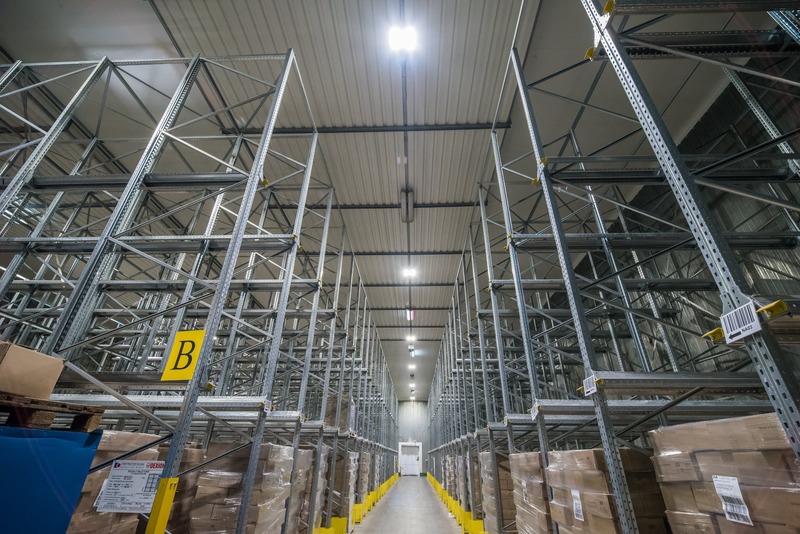 We used the Highbay luminaire with branded Osram LEDs, which operating temperature range reaches up to -40 degrees Celsius. The frame is also PZH approved for food facilities. Due to the very low temperature, we put great attention to the parameters of the power supply. Before the modernization, an employee entering the room had to wait a longer period of time before the system fully activated and the fixtures warmed up. After the luminaire exchange, the lights activate instantly. The light intensity has increased threefold, making the stay in the storage safer. Seals were created at the passages to prevent thermal bridging and water condensation. Between the upper zone (which leads the wiring) and the center of the storage, we installed special seals. The instant illumination increases efficiency and the stay time of the worker inside the freezer. A failure-free system minimalizes the risk of breakdowns and lowers the maintenance expenses. he exchange project uses existing light spots – which lowers the installation expenses.